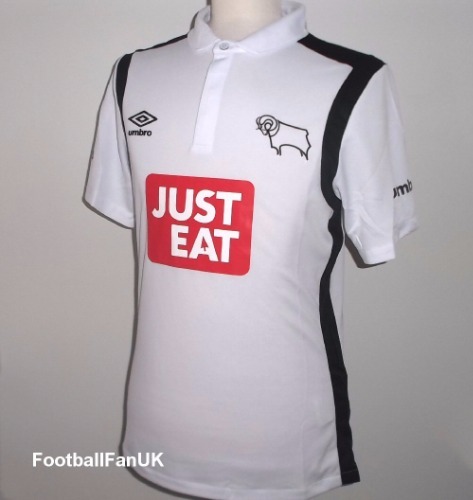 This is the home shirt, of Derby County FC, for the 2016/17 season. It is an official Umbro football shirt, and is brand new with tags in Umbro packaging. - Club badge on chest. - Stadium map co-ordinates printed inside neck. - Umbro logo on chest and sleeves. - New with tags in Umbro packaging. - Adult Size XL. Chest 47", length 30".